The man who led Argentina to just their second World Cup crown — according to many almost single-handedly — and whose brilliance inspired Napoli to the only two Serie A titles in their history, has ploughed a less succesful coaching furrow. Maradona’s first coaching experience was five years before Felix was even born. Dorados president Jose Antonio Nunez is another beating the same drum, attempting to find a positive twist on his high-profile signing’s record. “He knows what it’s like to start from the bottom, he knows the value of a lower league,” he said. At the weekend he wrote on Instagram that he was “happy to return to the land where I was world champion and where I retain very happy memories”. It’s also an ideological fit for a man who was friends with two of Latin America’s most famous socialist leaders: Cuba’s Fidel Castro and Hugo Chaves of Venezuela, and sports a tattoo of revolutionary icon Che Guevara. 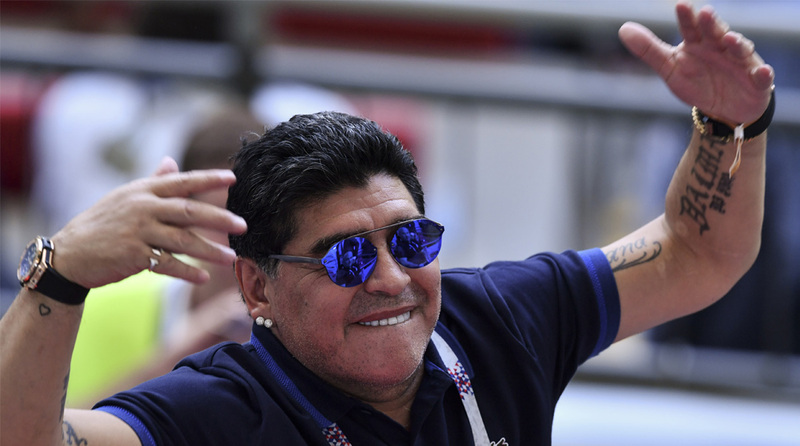 Maradona sent a welcome message to new Mexico President Andres Manuel Lopez Obrador while hitting out at “imperialism” in a clear reference to the United States. He has changed little over the years but, if his coaching fortunes don’t experience a dramatic upsurge, this could be another brief footnote in a career that will always be remembered more for his on-field skills than any off-field antics.